German software supplier for the public transport and logistics industries, IVU Traffic Technologies, has partnered with the developer of the first platform for the operation of autonomous vehicle (AV) fleets, BestMile, to provide a system for fully integrating automated vehicles into traditional transportation networks. IVU and BestMile have launched the Autonomous Driving for Public Transport (ADxPT) project, which sees the companies jointly developing a test and demonstration system in which public transportation companies can integrate and efficiently operate hybrid fleets of autonomous and driver-operated vehicles. A central focus is for both companies to interconnect their respective technologies to allow the integration, real-time routing, and dispatching, of both vehicle types. Over the next few years, mobility services will experience a transitional phase where autonomous and human-driven vehicles will co-exist within the same fleets. How efficiently autonomous mobility services are deployed, optimized and integrated in the existing transportation ecosystem is crucial and will directly impact the speed and level of adoption of AVs worldwide. The two companies believe that the benefits of autonomous mobility do not lie solely in AVs, but mostly in what they can offer when they are operated and managed collectively in an integrated transportation ecosystem. BestMile’s cloud platform enables the operation and optimization of autonomous mobility services, and is currently being used in AV pilot projects in Europe and the USA. In ADxPT, the Swiss-based company is using its expertise with real-life deployments of AVs. IVU provides its smart software systems for fleet management, passenger information and ticketing, allowing transport operators and cities to offer innovative services adapted to their specific transportation requirements. Together the companies will develop mobility solutions for autonomous fleets incorporated into traditional transportation systems, including traveler information systems, scheduling, timetables, and other components required for a modern mobility environment. 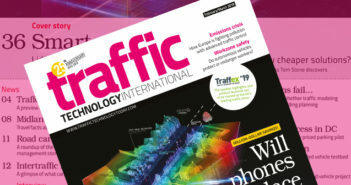 Tom has edited Traffic Technology International magazine and the Traffic Technology Today website since he joined the company in May 2014. 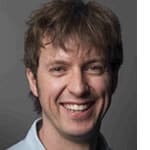 Prior to this he worked on some of the UK's leading consumer magazine titles including Men's Health and Glamour, beginning his career in journalism in 1997 after graduating with a law degree from the London School of Economics (LSE).